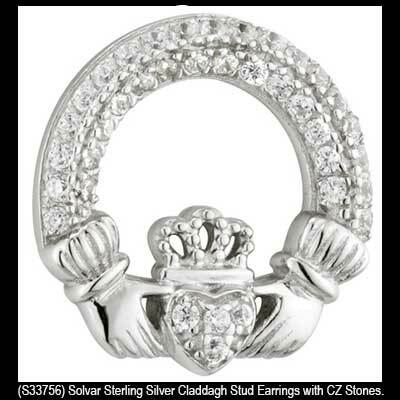 Sterling silver Claddagh earrings are enhanced with CZ stone studded hearts along with two rows of additional stones. These sterling silver Claddagh earrings feature CZ stone hearts along with two rows of CZ stones that extend from cuff to cuff. 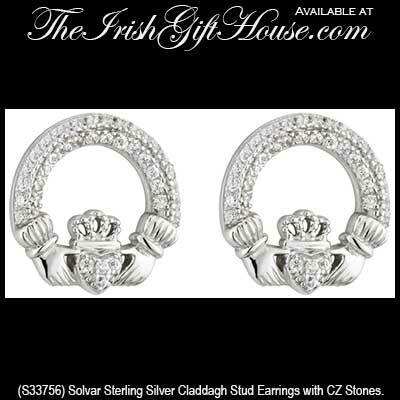 The Claddagh stud earrings feature push on butterfly backs and measure 1/2“ wide x 1/2” tall.